The world of football is buzzing with excitement and for many of the fans, the World Cup can’t get here soon enough. Sadly though, it is not just excitement that is wrapped around this tournament. Football, a sport loved by many, has been hounded with controversies, one of which concerns the official outfitter of this year’s World Cup, adidas. This leading sports brand prides itself for its legacy and passion for sports. Being the leader on anything and everything sports is at the core of the adidas Group. And today, in the midst of the environmental issues that adidas is facing, there are troubling questions they must answer truthfully. How do you claim to love a sport when you have tainted it with poison? Does brand leadership involve putting your followers (peers, customers, employees, partners, et cetera) at risk? Is football still beautiful if it is stained with a supply chain that harms the environment and put the lives of its workers and customers at risk? 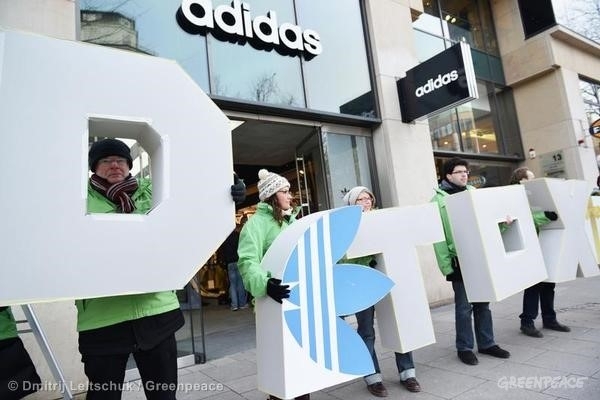 Back in 2011 when Greenpeace launched the Detox campaign by publishing the Dirty Laundry report (a list of global fashion brands that have harmful chemicals in their supply chain processes), adidas was one of the first companies to commit to clean up their processes, which looking back was admirable and very much aligned with their core values as a leader in the sports industry. Other fashion brands have also followed suit and made the commitment to detox. 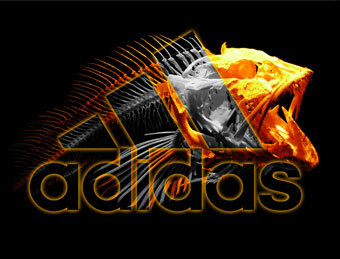 However, unlike H&M, Mango and Uniqlo, just to name a few, adidas has not kept its promise. Investigations conducted by Greenpeace Germany and some independent laboratories showed that adidas products still contain hazardous chemicals. These chemicals appear on boots, goalkeeper gloves and the official “Brazuca” ball. A Greenpeace press release on the Detox campaign points out that “These hazardous substances can leach from the products into the environment or get into the food chain. Some of them potentially cause cancer, disrupt the hormonal system or can be toxic to reproduction.” Hence, Greenpeace has now branded adidas as a greenwasher, or a company supposedly commited to the Detox campaign but fails to implement the necessary actions to clean up their manufacturing processes. In response, adidas countered the accusations and reiterated their commitment to the Detox campaign, even citing their transparency in the supply chain and carefully monitoring or regulating toxics. The company also pointed out that as a founding member of Zero Discharge of Hazardous Chemicals (ZDHC), they remain committed to the Joint Roadmap, “a plan that sets a new standard of environmental performance for the global apparel and footwear industry.” The ZDHC has been widely criticized as being overly ambitious and lacking the concrete steps to carry out their timeline for the roadmap. At the end of the day, adidas can make numerous promises and lay out various plans to eliminate the toxins in their manufacturing but as long as these chemicals are showing up in their products and in waterways where their toxins end up in, adidas has nothing to show of their true commitment to cleaning up their act. Adidas cannot keep the game beautiful by playing dirty. It’s high time they walk the talk. No more hiding in bold pronouncements and empty promises. Adidas has long convinced the world that “Impossible is Nothing.” It’s now their turn to believe that it was not just another empty marketing ploy but instead a life rule and a challenge that also applies to them, especially when it comes to the safety and sustainability of their products. Only when adidas goes “all in” on detox can we keep the game beautiful.